The state on Tuesday once again joined an Anchorage moose hunter's fight to get the U.S. Supreme Court to back his claim the federal government had no right to kick him off a remote river. John Sturgeon, 72, was ordered off the Nation River in Yukon-Charley Rivers National Preserve in 2007 as he worked on repairs en route to hunting grounds. Sturgeon sued the National Park Service in 2011. 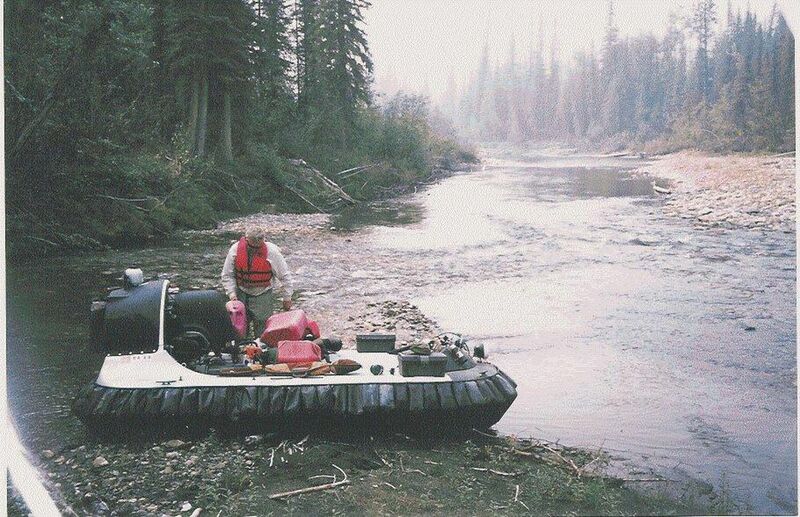 The case centers on whether the state, which allows hovercraft on waterways, has authority over the Nation River or whether the National Park Service — which bans them — oversees that stretch. The Supreme Court in 2016 rejected a lower court's reasoning for barring Sturgeon's hovercraft use and sent the case back for reconsideration. A three-judge panel on the 9th U.S. Circuit Court of Appeals ruled in October 2017 that the park service has authority over the river within the preserve. The nation's highest court agreed in June to reconsider the case. Alaska's attorney general for the second time filed an "amicus" brief Tuesday on behalf of Sturgeon. Other entities filing briefs included Safari Club International, in support of Sturgeon, and Ahtna Inc., which did not support Sturgeon. The state is urging the Supreme Court to overturn the 9th Circuit decision, arguing the appeals court broadly applied a federal reserved water rights doctrine. The doctrine was previously used in the Katie John cases, as applied to rural subsistence priority for fishing. The bid has led to calls that Sturgeon's case could lead to state regulation of subsistence fishing rights. State officials and Sturgeon's lawyer say that's not true. The Ahtna brief was filed to encourage the Supreme Court to protect Katie John and to preserve Ahtna's rights to manage its lands. Sturgeon said in an earlier interview he expects to spend about $1 million fighting the federal decision. Attorney General Jahna Lindemuth said in an interview Tuesday she couldn't provide an estimate of state costs on the case to date. "It's been a significant investment because we spent attorney time on it but not one of those cases where we've engaged expensive outside counsel," Lindemuth said. The state didn't hesitate to join the case a second time, she said. The Supreme Court is expected to hear the case in the fall, with a decision expected by next June. Correction: This story has been updated to clarify that the brief filed by Ahtna Inc. did not support John Sturgeon.